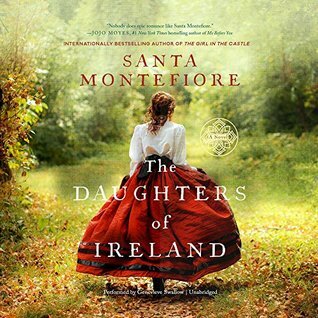 International sensation Santa Montefiore presents the second book in her romantic and unforgettable Deverill Chronicles trilogy, which follows three Irish women through the decades of the twentieth century—perfect for fans of Beatriz Williams and Kate Morton. As Celia wastes no time, or expense, in hiring workers to renovate Castle Deverill—even when the country soon finds itself in the midst of the Great Depression—she has no idea that her world is about to be shattered. Now everything that felt so certain is cast into doubt as this daughter of Ireland must find the inner strength to build a new future. Book 2 in Santa Montefiore’s Deverill Chronicles Series, this book is also known as Daughters of Castle Deverill. 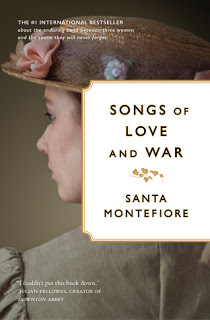 I loved Songs of Love and War (The Girl in the Castle) and while it had a fitting conclusion there was enough hanging to make me jump right into this one. It picks up right where Songs left off. Following the lives of Kitty, Bridie and Celia from Ireland, New York City and into Africa, where the past is set to collide with the present. They must be courageous, daring and find their own way. 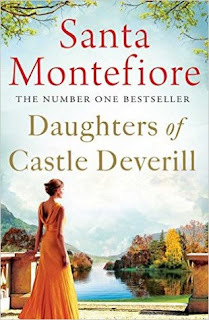 As author Jojo Moyes states ‘nobody does epic romance like Santa Montifore. 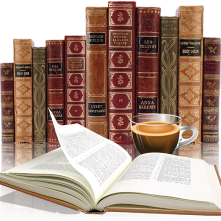 Everything she writes, she writes from the heart.” It’s so true, not being a fan of the romance genre she writes multi layered historical stories with a wide cast of characters that aren’t confusing to follow. The plots (yes more than one) are intricate and draws me right in. Definitely a series I am anxious to continue with and an author that has ranked up there in my ‘must read’ pile. Though the publisher was gracious enough to send me an ARC (via Netgalley) due to personal issues I went the audio route via Audible.